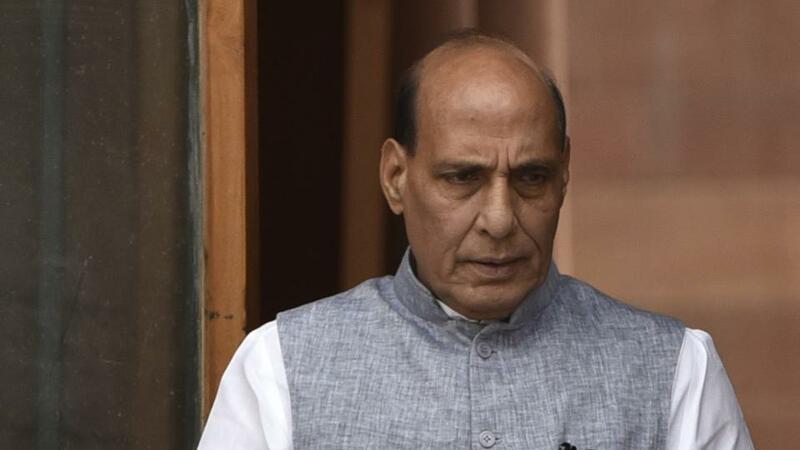 Indian Home Minister Rajnath Singh on Sunday wrapped up his three-day official visit which both sides say further strengthened the ties between the two countries. “After spending three days in Bangladesh, I’m heading back to New Delhi. I’m deeply touched by the warmth and hospitality of the people of Bangladesh. Bharat-Bangladesh Moitree Chirojeebi Hok,” said Rajnath in a tweet as he left Dhaka for New Delhi at 1pm by a special aircraft. Before the departure, he held the sixth Home Minister-level talks with his Bangladesh counterpart Asaduzzaman Khan and discussed issues related to security, border management, cooperation in countering illegal activities and travel arrangements. Bangladesh and India signed a deal under which freedom fighters and elderly Bangladesh nationals will get a five-year multiple visa. The deal titled Revised Travel Arrangements 2018 was signed between the two countries in presence of Bangladesh Home Minister Asaduzzaman Khan and his counterpart Rajnath Singh in Dhaka. Rajnath met Prime Minister Sheikh Hasina and discussed various issues of mutual interest. The two Home Ministers also inaugurated a new state-of-the-art and integrated Indian Visa Application Centre (IVAC) at the Jamuna Future Park. The Indian Minister visited Rajshahi and jointly inaugurated the Bangladesh-India Friendship Building at the Bangladesh Police Academy, Sardah with the Home Minister of Bangladesh. During his stay in Dhaka, Rajnath said Bangladesh and India have made notable progress in transforming land and maritime boundaries into zones of peace and tranquility.